Painting bedroom walls in a calming, peaceful color goes a long way toward helping the sleep-deprived gain a good night's sleep, but it's just one piece of the puzzle. To truly create a spa- or Zen-like atmosphere, evaluate the entire room -- all the way down to the linens -- for possible changes. Turn your bedroom into a sleep sanctuary with these helpful tips. Blackout shades or room-darkening drapes keep the bedroom dark at night - or during the day. However, if you want to allow daylight into your bedroom and still have privacy, Amy Contreras, owner of Amethyst Interiors in Indianapolis, suggests doubling up on window treatments by using a sheer for privacy and a light-blocking window treatment for sleep. "You can achieve either blackout or just privacy or light filtering that can make a space a lot more comfortable," Contreras says. "Even during the daytime it can be a place of rest and relaxation -- even if you're not sleeping." Avoid harsh lighting by using perimeter lighting, chandeliers or dimmer switches instead of overhead lights for soft, restful lighting. None. Nada. Zero. Removing the TV, cell phone, tablet and laptop from the bedroom is easier said than done. Heck, how would we wake up in the morning without our cellphone alarm? However, the blue light emitting from those screens disrupts sleep. Eliminating screen time an hour before bedtime could improve sleep quality. "You're not supposed to have an office in your bedroom," says Sue Hunter, owner of Home for a Change, Minnetonka, Minnesota. Although many Americans ignore the advice, keeping a TV in your room -- even if it's off -- can disrupt sleep patterns. "People don't realize electronics emit a vibration we don't hear," says Diane Haignere, owner of Ready Set Redesign of Columbus, Ohio. Of course the mattress is important, but the sheets, comforters and blankets also play a vital role in a good night's sleep, interior designers say. Choose natural, breathable fibers such as cotton and avoid synthetics such as polyester. "I think, in general, you want something that is a high thread count [sheet], that feels really smooth," Contreras says. Soft, fluffy comforters scream coziness and relaxation. "I always recommend duvet covers instead of comforters because your senses are what help you initially get to sleep and sleep better," Hagniere says. "The duvet covers can be washed in the laundry with everything else, so therefore, the cleaner smell will make you feel more at ease." Hunter also suggests upholstered headboards instead of the hard ones for added warmth. "Removing non-functional furniture and accessories is also a must," says Laura Brenner, owner of I Can Arrange That of Glenside, Pennsylvania. "I suggest pretty bowls or trays to put jewelry, change, or watches in at the end of the day -- very pretty and functional. Less is more." 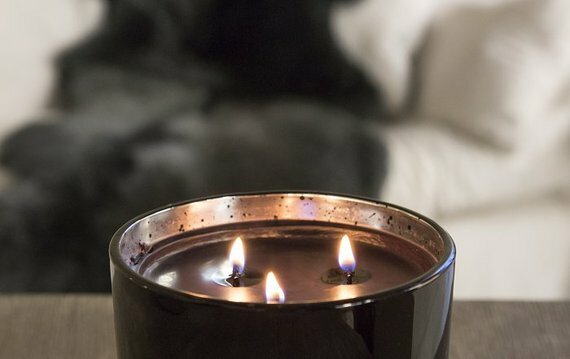 Forget about strong perfumes or air fresheners to make your room smell good, but do little to promote sleep. Using an essential oil, such as lavender, promotes the relaxation that could turn into sleep. Incorporating lavender is as easy as a hand cream you apply before bed, lighting candles, adding a drop or two onto the light bulb of your bedside lamp or washing bedding with a lavender-scented detergent. If quiet is too quiet for you, consider a white noise machine, which produces peaceful sounds found in nature while blocking other noise disruptions. Fans and calming music may also improve sleep quality.